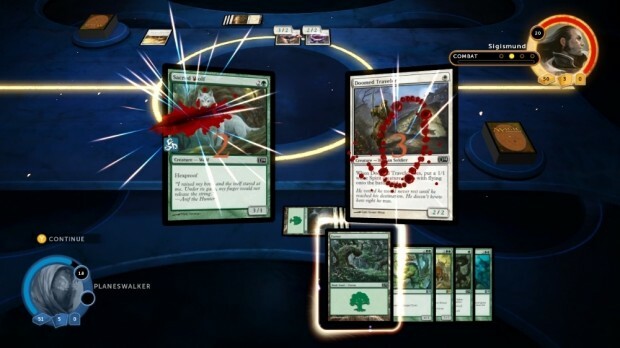 Sealed play (which is perhaps the most exciting addition to this year’s Duels of the Planeswalkers title) is a real life Magic: The Gathering (MTG) staple that attracts casual, serious and professional players time and time again. The format is challenging because it relies upon each player’s ability to produce the best possible deck from a fixed pool of cards, but at the same time it is extremely rewarding to watch that handmade deck pull off a big victory or combo. 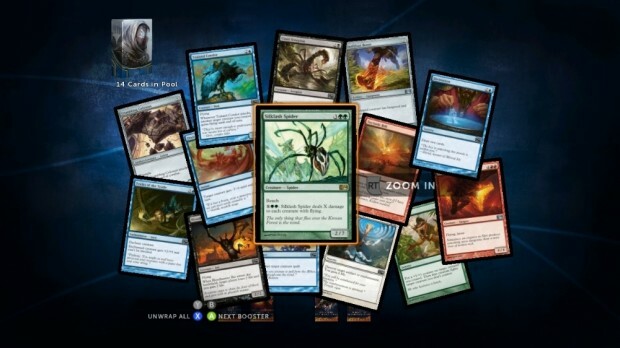 In Magic 2014, your sealed pool consists of six semi randomised packs of fourteen cards, each of which will include three uncommon cards and one rare or mythic rare card. In addition, as you progress through the sealed deck campaign, you will be able to unlock new booster packs which further add cards to the pool. 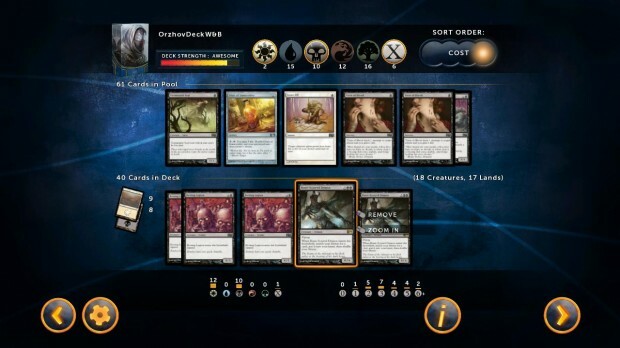 An overview of these cards (with options for sorting them by rarity, colour and cost) can be seen in the sealed deck editor, and it is on this screen where you will spend most of your time building and refining your deck. Although much of the advice in this guide will be subjective and could depend largely upon what cards are in the pool, there are some de-facto principles of sealed play which almost any MTG player will try and adhere to. Well, not if you want to win anyway! The autobuild is based upon a basic algorithm which is focussed on hitting the three basic rules which we’ll be discussing below – it will choose two solid colours, seventeen lands and forty cards overall. Even if you don’t want to splash a third colour, you can usually work out a better two colour deck than the autobuild, so by all means play with it, but don’t rely upon it to deliver a winning deck. Autobuild is right about this one – it’s really important. Your sealed pool (without any additional boosters) will consist of eighty four cards, but the legal minimum for sealed play is forty cards, which is what you need to aim for. Taking forty cards (and not say, forty five) means that you can play the really good cards more often, whilst at the other end of the scale, you’ll minimise lesser cards that you don’t want to see. By the time you have opened two or three more booster packs and if you really hit good cards, increase this to an absolute maximum of forty five cards from your whole pool – and remember to adjust mana accordingly at a rate of around 40% of the deck size. We’re going to discuss how to divide up your choice of lands soon, but whilst you’re still deciding what your actual mana base needs to look like, consider the fact that your forty card deck will need between sixteen and eighteen lands (depending upon how mana intensive it is, or if you can draw mana from other sources like creature cards or fixing spells). Chances are, your sealed pool is going to contain good or at least decent cards from all five colours. What this usually means, is that you will need to make a choice about which good cards to leave behind. We’ll focus more on how to pick one card over another later, but first of all just try to rule out two colours which do nothing for you – perhaps those which lack depth, or have little or no synergy. You’ll now be down to three colours – and three colour decks can work, but in sealed play, you’ll probably want to stick with just two plus perhaps a little splash. Splashing is a popular term for adding just a few cards which belong to a colour which is not core to your deck. Assuming you have identified two solid colours to begin with, it’s OK to throw in maybe three or four awesome cards from a third colour. You’ll need a compelling reason to do so though, like board changing effects or bomb creatures, and it’s important to consider your ability to play such cards at the right time. For example, a 2/2 flying creature for white/white/one is fine in a white/red deck, but if you’re playing black/blue as your core colours, it’s likely that by the time you have the mana to play your white splash flyer; it will be too small to affect the game. Cards like Disintegrate however, make an excellent red splash – X/red to deal X damage is a very powerful late game spell, because it will almost always enable you to remove a threatening creature from the game. Similarly, creature cards with a decent power vs. mana cost (better than 1:1) or a huge ability (annihilator, lifelink etc) which cost more than five mana but only one of a specific, non-core deck colour can be considered as decent splash cards. The size of a creature like this will mean it casts late in the game anyway, giving you more turns to draw out that splash land. So, we’ve talked about how many lands to take and when to consider a splash, but mana fixing can also be useful – especially if you intend to take three or more colours. A good card for three colour decks is Terramorphic Expanse, because you will usually hit at least one or two of these in any sealed pool. Others include Rampant Growth, which is great if you play a green core with one or more splashes in different colours. If you’re wondering how mana fixing should affect the number of lands you take, then there is no hard and fast rule – stick to around seventeen lands (but never less than fifteen or more than nineteen) and see how often you hit the right mana at the right time. So, once you’ve had chance to assess the cards in your sealed pool and you know which colours might work, it’s time to figure out how you’re going to win. Almost every sealed pool will contain one or two huge cards that could win a game on their own – these cards are commonly known as bombs. Bombs are not always the biggest creatures, but they will almost always be cards which are big enough to be threatening, have one or more benefits which are hard to deal with (flying, vigilance, lifelink, annihilator) will hit the board consistently (five or six mana at most and only very rarely at seven or more) and which have strong additional effects. For example, at three/blue/blue/blue the Roil Elemental is a great card for a blue deck because it’s ability will be useful more or less every other turn; then when it hits, you’ll have a new creature and your opponent will have one less. For red decks, take a look at Awaken the Ancient – an enchantment which switches a mountain into a 7/7 with haste is an absolute game changer. If a card like this drops on turn four – it could be game over. In the MTG sealed format, one of the most effective ways of handling an enemy threat is to remove it with a well-timed, single use spell. 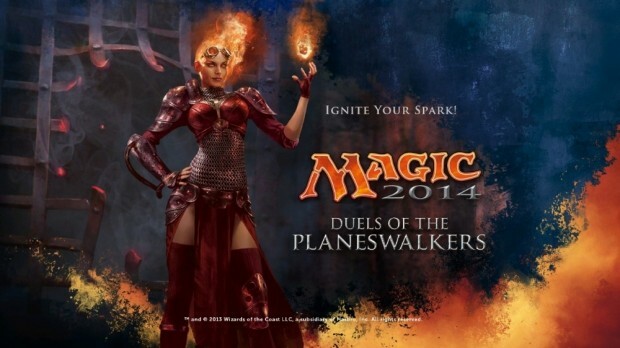 Magic 2014 features a range of decent removal spells (those which target enemy creatures) and also a few which deal direct damage to the enemy player. Some spells even do both, or allow you to choose which effect will take place, making them even more versatile. After choosing which bombs you will take into battle, it’s always a good idea to pick out some removal spells – shock, searing spear, path to exile, cancel, assassinate, plummet – there are loads to choose from in every colour, although red and black certainly excel in this area. Assuming you’ve now got your bombs and removal cards sorted out, as well as anything else that you absolutely must take, it’s time to think about the creatures who will make up the bulk of your deck. Including the bombs, you’ll want approximately fifteen to eighteen creatures – although this rule is certainly not as rigid as those associated with mana or number of lands. As a general rule of thumb, what you need to do is choose creatures based on mana cost, power, and any ability which helps them deal damage (such as flying, or unblockable). Toughness is less important than power, so take a 3/1 over a 2/2 where both creatures have the same mana cost. In sealed play, you don’t need to worry too much about taking creatures at one mana unless you draw enough to build a decent agro deck. If you are in white or playing a Sliver deck, consider taking Suntail Hawk or Striking Sliver. At two mana, green has a great option in the Kalonian Tusker which is a 3/3 for only green/green, and there are plenty of 2/2 creatures (affectionately known in the MTG community as Grizzly Bears) which although not exceptional, are entirely playable at two mana. For three mana, you will want to consider strong creatures with a decent chance of dealing repeated damage. Options include Phantom Warrior, Chandra’s Phoenix, Trained Condor, Master of Distraction and lots of white flyers, or red creatures with high damage and low toughness. Three and four mana creatures will do most of the work for you, so take at least five or six in total, maybe more if you can. At four and more mana, you’ll want to look at strong abilities and creatures with a power which exceeds their mana cost – a 5/3 like Marauding Maulhorn for two/red/red, for example. Next up, go right ahead and test your deck. The great thing about the sealed mode in Magic 2014 is that there is absolutely no consequence for testing and improving your deck in offline play, before taking to the multiplayer mode. 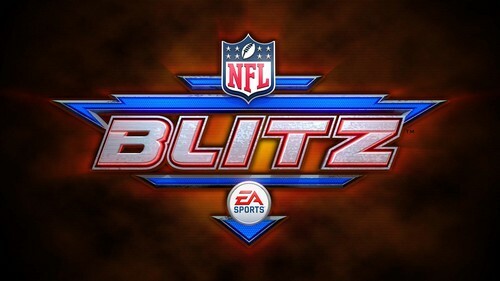 The great thing about playing offline of course, is that you can unlock new cards to make your deck even stronger. Don’t worry if you lose three or four games and need to go back to the drawing board, that’s part of the fun and something which even veteran MTG players do during sealed play tournaments.